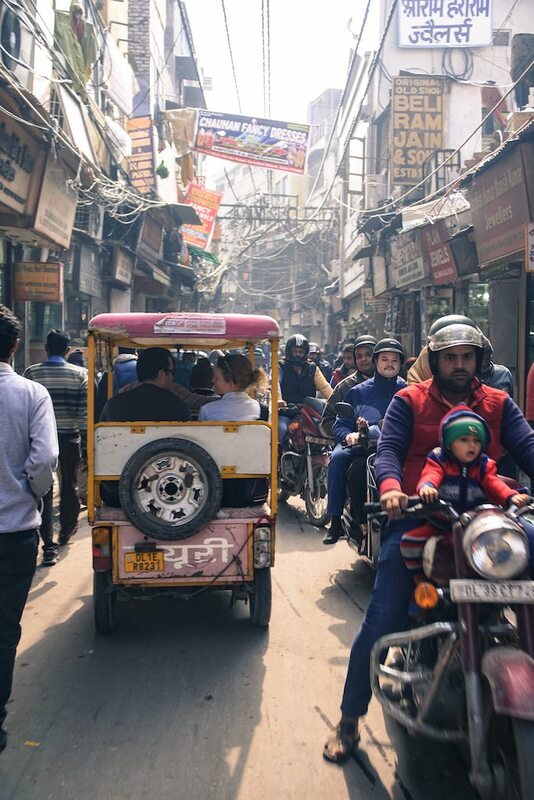 Delhi is where the old meets the new. 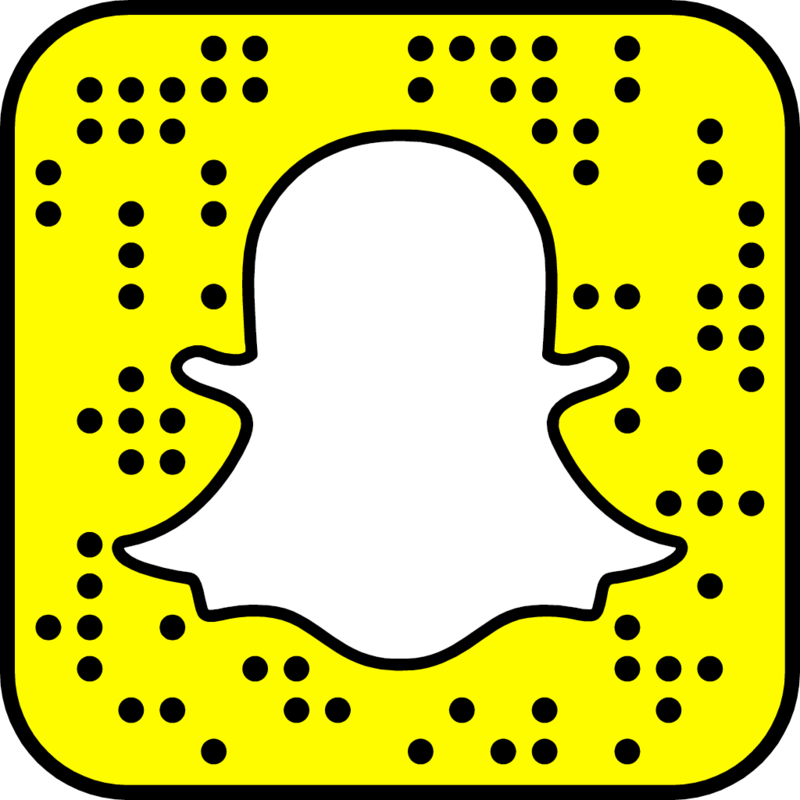 It’s where large business hubs, consulate buildings, and modern shopping malls, stand side by side with ancient temples, local markets and run down villages. The largest of the three cities in the Golden Triangle and second most popular city in the country, Delhi is the capital of India. And with 18 million people, the city feels more established in comparison to the other two. 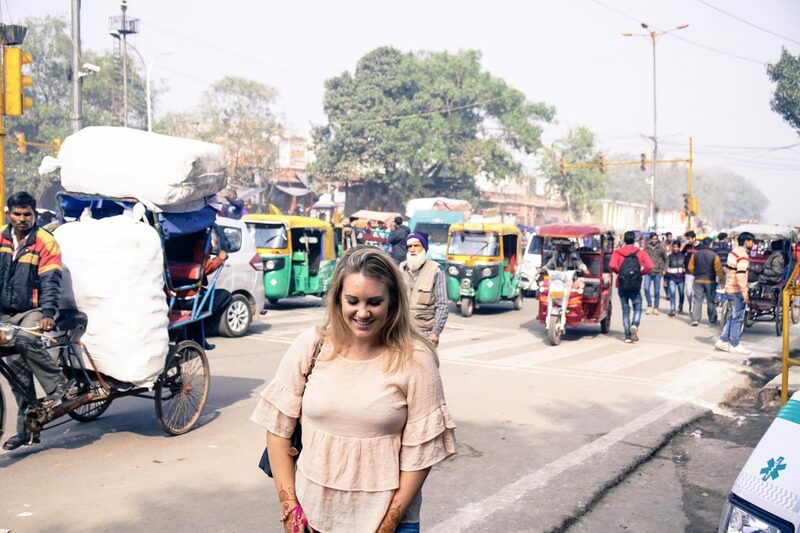 As I was based out of Delhi for my trip, I was able to take my time seeing it with local friends. I am not a huge history buff, so for me, I didn’t have each and every landmark on my list of things to do. 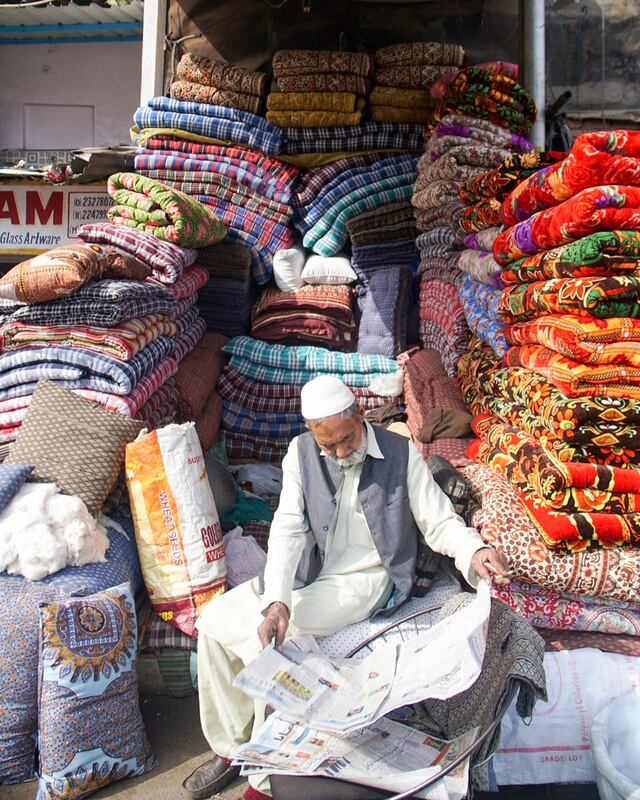 Rather, I had planned to rather walk around and explore local markets. 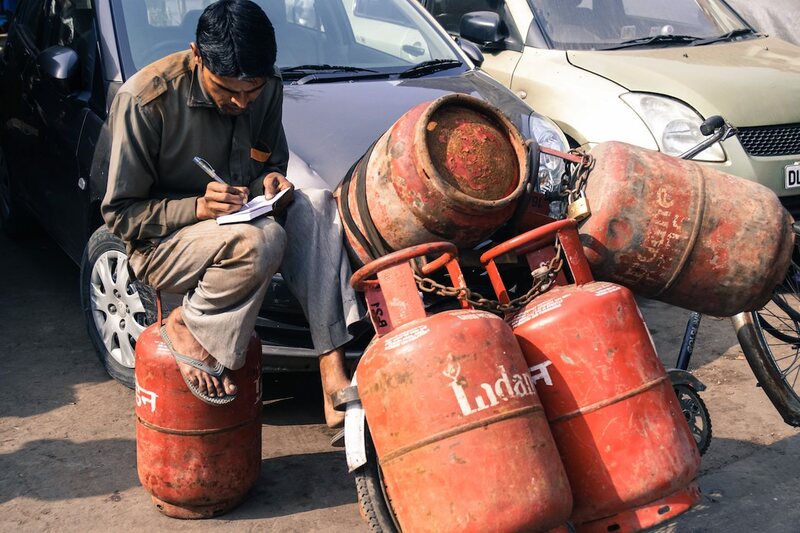 This was the first place I visited when in Delhi and was taken by a friend and local Delhite, Priyanka. She explained there are four main religions in India, Hindu, Sikh, Christian and Muslim. This temple is a Sikh temple and its 24 hours! 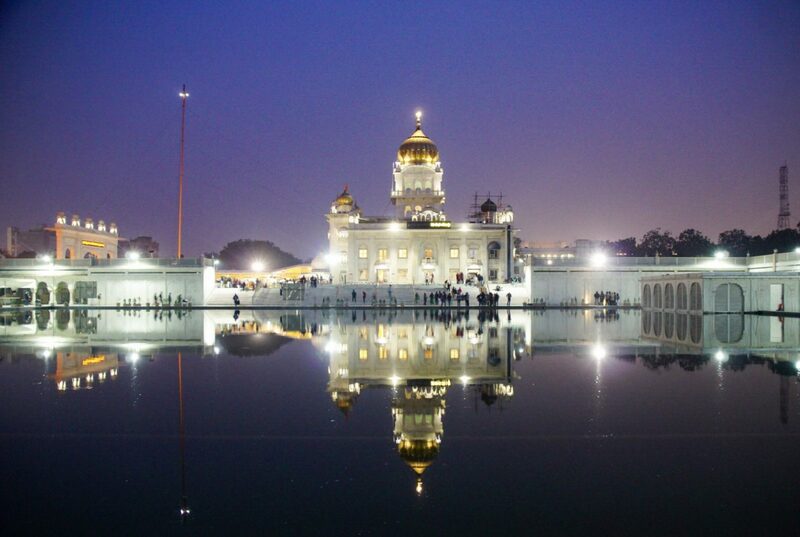 There is a large body of water on the side of the temple, which is believed to have healing powers and is taken by Sikhs throughout the world back to their homes. Many were taking their daily ritual bath in it while I was there. 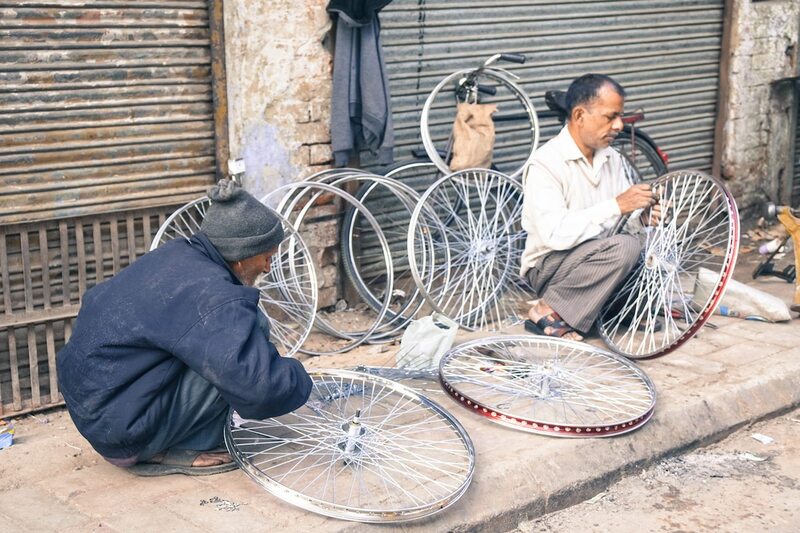 Chandni Chowk is a world of its own. As we waited at the entry for some friends to meet us, it was as if they were worried we were about to enter chaos and possibly lose each other. It was all bustle and even more hustle once we entered the main drag. Everyone had a job to do, from providing sidewalk shaves, to cooking the delicious Jelebi, which is a sticky sweet dessert. This is a great place to soak up the local culture. 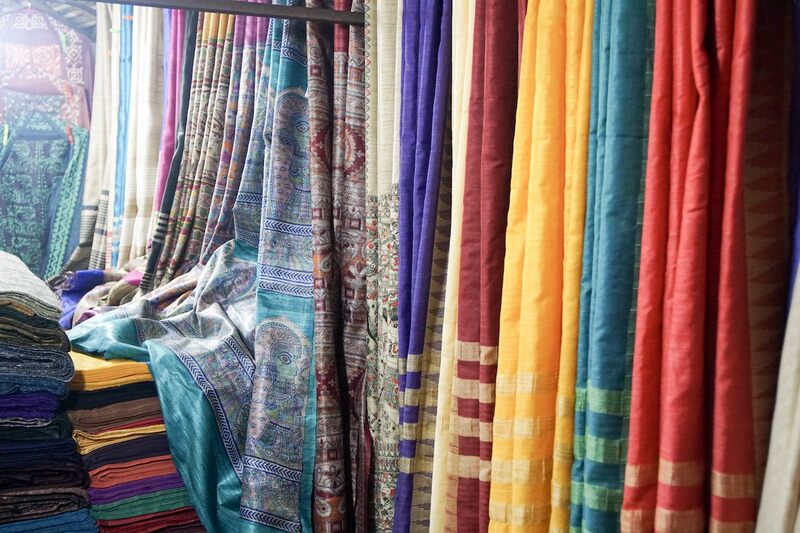 Chandni Chowk is also the place to go if one is looking to buy a sari. 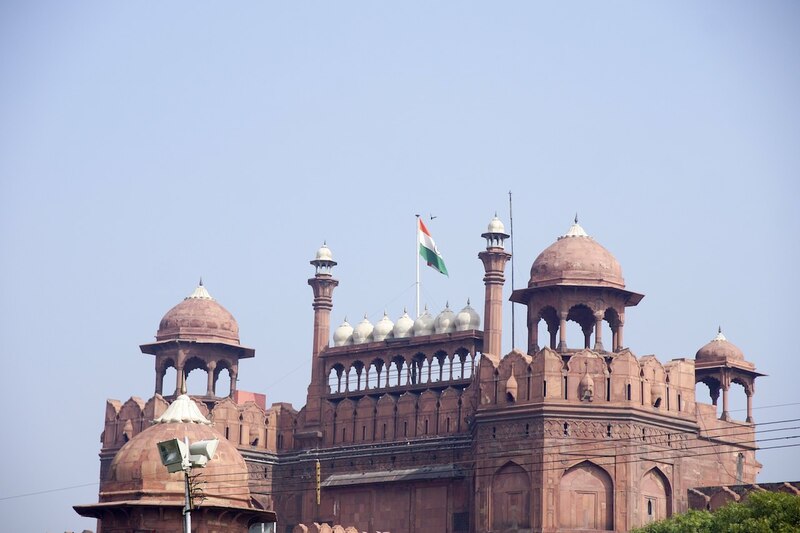 Unfortunately, the Red Fort was closed to the public for Republic Day celebrations. We were able to walk around the perimeter where all the stalls were set up but not go inside. I really enjoyed Delli Haat, so much, in fact, I had to go back there a second time to make some last minute purchases. 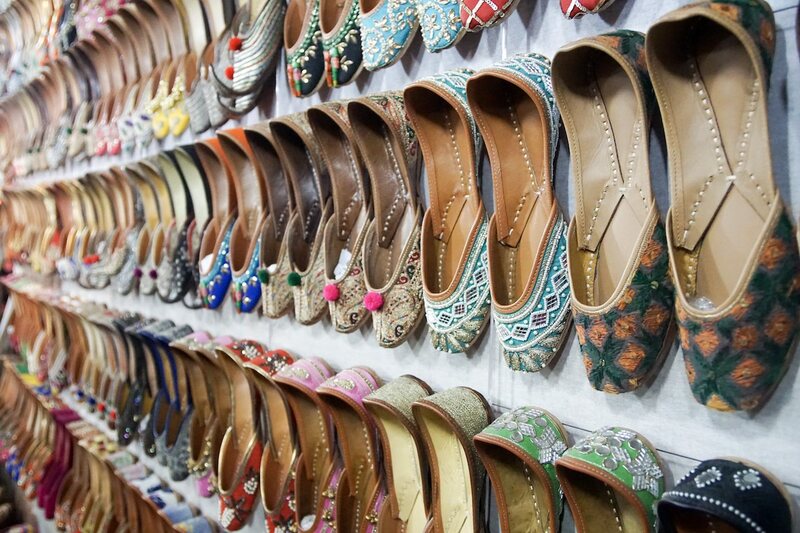 It’s a market that showcases all the different styles and specialties from each region around India. 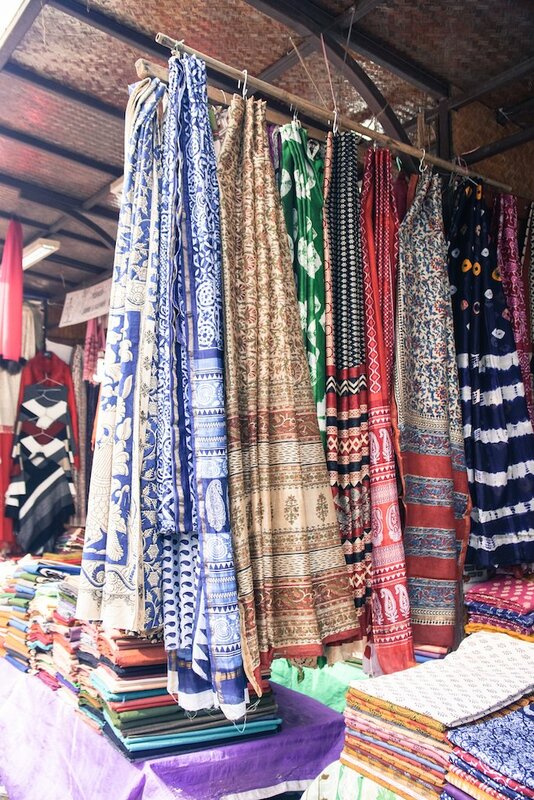 There are stalls filled to the brim with block printing linen, traditional Indian shoes, piles and piles of jewelry and miles of beautiful sari fabrics. But the real hot commodity here are the pashmina scarves. You can find one in every colour and pattern imaginable. They are soft, warm, and light enough to pass through a wedding ring. Check out Fab India, a contemporary store that offers every type of traditional clothing possible, bed and bath linens and gourmet bottled foods. It sort of reminded me of Williams-Sonoma. Hidden down a narrow alleyway off the bustling streets of Old Delhi, we had the insider information from our Indian friends for this one. 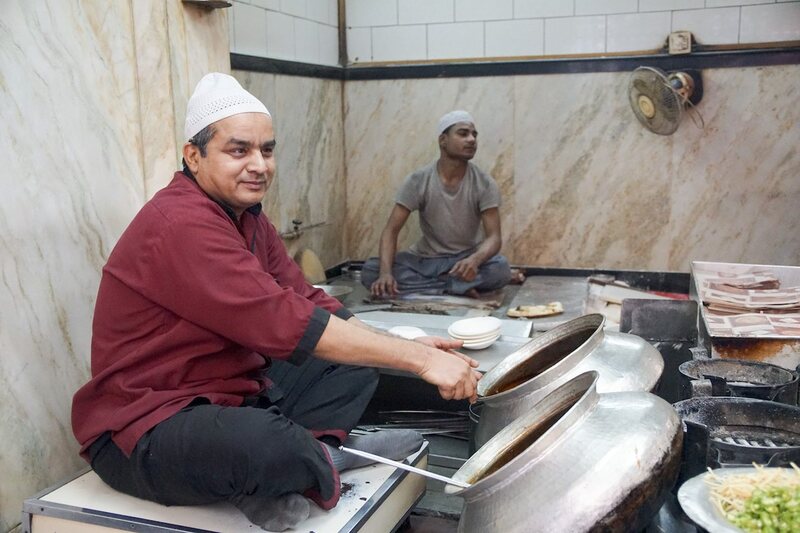 Now a local institution, Karim’s has been open since 1913 and is near Jama Masjid, one of the largest Mosques in India. Our friends took us there for brunch since it is not as busy then. 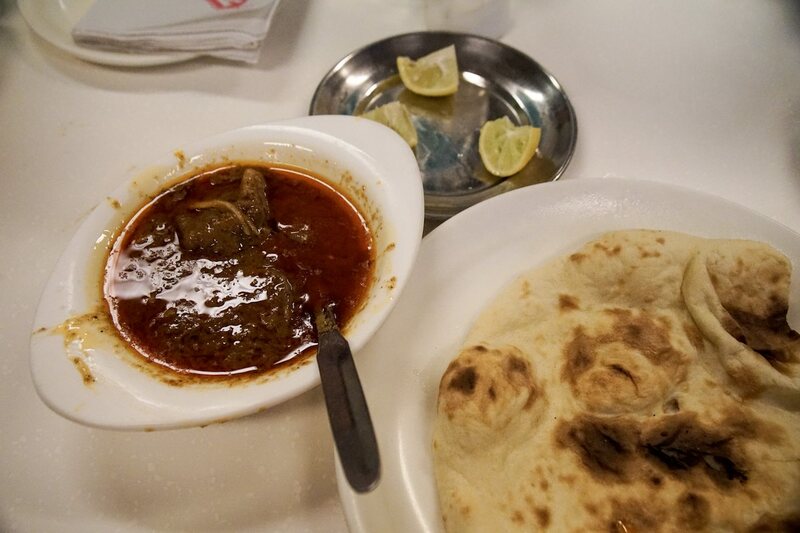 The one thing they serve at that time is mutton curry, yep, goat. It was the first thing I had eaten that day, so I was a little worried, but it was delicious. And what it lacks in atmosphere and decor, it makes up for in taste. Located in the Luxury Collection ITC Maurya Hotel in Delhi, Bukhara is what Sushi Samba was to New York, or Nobu to LA. And at number 41 on The World’s 50 Best Restaurants list, it’s no surprise there is a regular rotation of locals, tourists and high profiles guests such as Bill Clinton and Vladmir Putin. I assume not all at once. 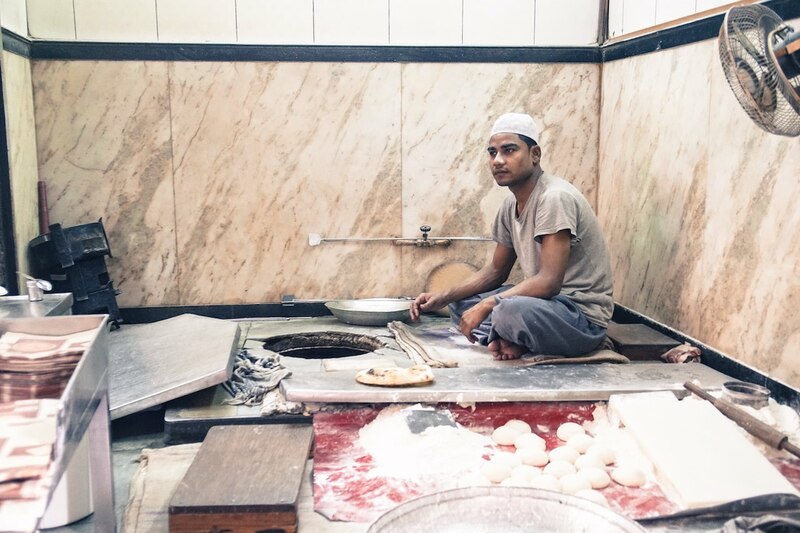 All the dishes are prepared in their tandoori ovens, clay ovens, which can be seen from the dining room. People rave about the slow cooked daal, but the star attraction taking all the glory is the huge single piece of Naan, over 4 feet in diameter, served to the middle of the table for sharing.